Bike storage is made easy with the Gladiator Claw Advanced Bike Storage v2.0 that gives you convenient and flexible storage solutions for adult-and children-sized bicycles. This unit's push-lock mechanism allows homeowners to quickly hang and secure bikes without any hassle. The Gladiator 27 inch Hardwood Work Top allows you to create a durable workstation to fit your needs. This work top is ideal for at home, in an office or as an ideal spot for creative projects. Pair this top with a 35 inch H Gladiator Premier Series Rolling cabinet or a completely customized workstation to call your own. The Tire Loft from HyLoft with an adjustable width from 36-48 inches is a great solution for storing all types of tires, weather they be seasonal or recreational tires such as RV tires, ATV or racing tires and wheel. Installtion is easy and this unit is made of strong durable steel and will accommodate up to four large tires. The weight load capacity is 375 lbs and comes in red frames with silver telescoping tubes. 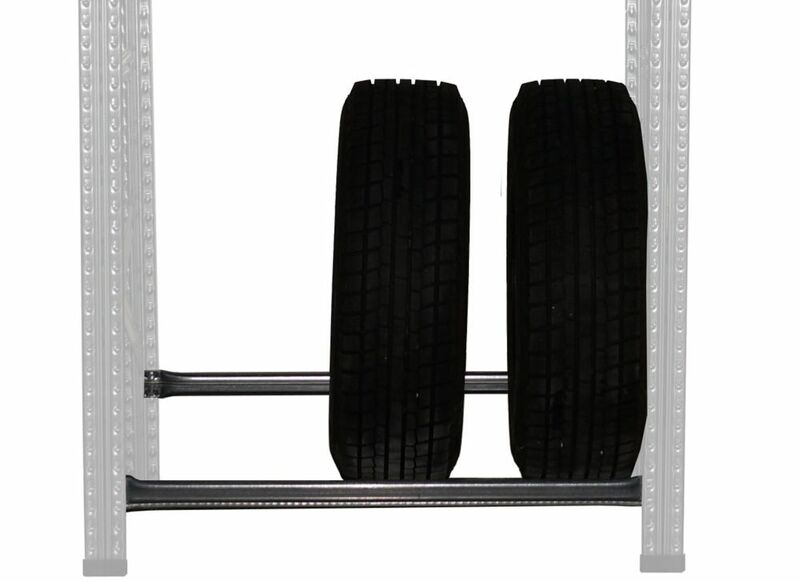 Metalsistem Tire Level 48 Inch Width Metalsistems boltless system allows its user to simply and easily assemble the shelving unit without any special tools or know-how. Made from prime quality tensile steel, this unit is built to last, and holds up to 330lbs per shelf and 2,500 for the entire shelving unit. With a wide range of accessories and configurations you can build and create many different options for the space you have available.